Colors included: Pink, Red, Purple, and Blue. I absolutely love this keychain! I was a huge gizmos and gadgets fan as a kid so to have this is a dream come true! 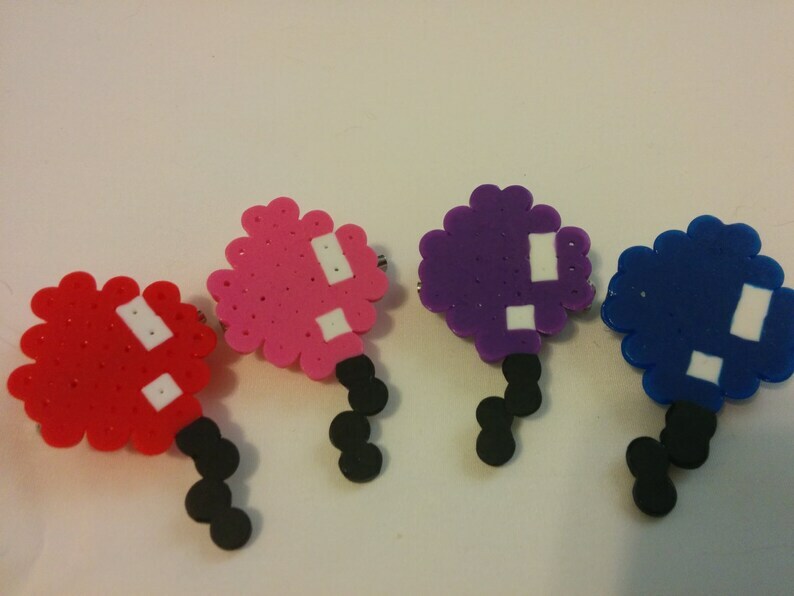 Warning though, like all perler head creations, the keychain is very fragile. I ended up taking it off my lanyard and just hanging it at my desk, where I can still see and appreciate it every day! Really cute earrings! Love them. Accurate description, shipped very quickly.